APIs which allow access to data resources consist of a standardized set of protocols and data formats (HTTP, URLs, SSL/TLS, HTML, etc.) allowing system access or cross system interoperability. APIs are the latest attempt to simplify RPC based calls and systems. In this case, the server’s response is typically not HTML for displaying to a human, but rather data in an encoding that is convenient for further processing by the client-side application code (such as JSON). 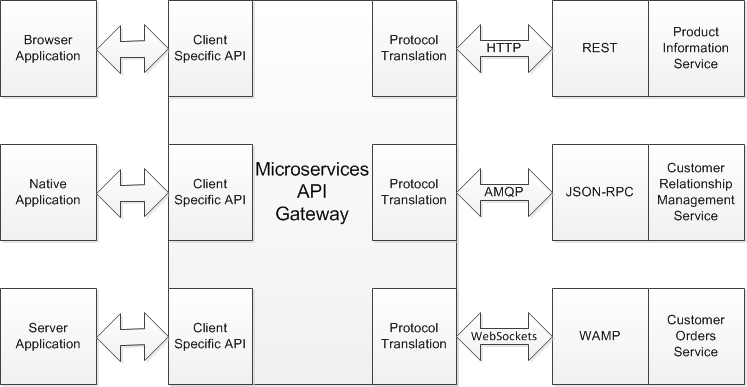 Although HTTP may be used as the transport protocol, the API implemented on top is application-specific, and the client and server need to agree on the details. Micro-services are similar to databases: they typically allow clients to submit and query data. However, while databases allow arbitrary queries using different query languages, exposed services offer an application-specific API that only allows inputs and outputs that are predetermined by the business logic (application code) of the service. This restriction provides a degree of encapsulation: services can impose fine-grained restrictions on what clients can and cannot do. For example, each service should be owned by one team, and that team should be able to release new versions of the service frequently, without having to coordinate with other teams. 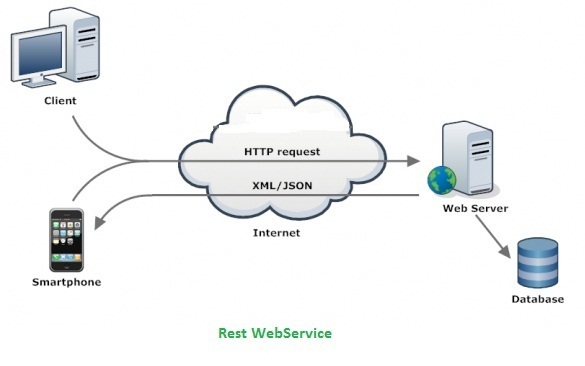 In other words, one should expect old and new versions of servers and clients to be running at the same time, and so the data encoding used by servers and clients must be compatible across versions of the service API using JSON and XML formats and REST and SOAP web services protocols. REST and SOAP are however, almost diametrically opposed in terms of philosophy, and often the subject of heated debate among their respective proponents. REST is not a protocol, but rather a design philosophy that builds upon the principles of HTTP. It emphasizes simple data formats, using URLs for identifying resources and using HTTP features for cache control, authentication, and content type negotiation. 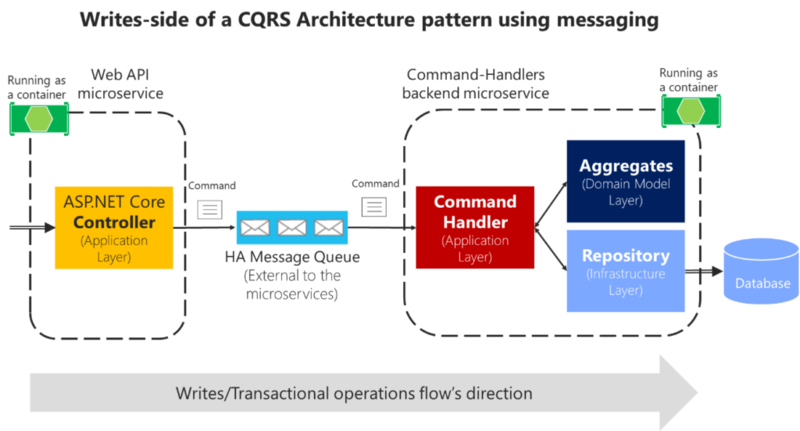 REST has been gaining popularity compared to SOAP, at least in the context of cross-organizational service integration and is often associated with microservices. An API designed according to the principles of REST is called RESTful. RESTful APIs tend to favour simpler approaches, typically involving less code generation and automated tooling. A definition format such as OpenAPI, also known as Swagger, can be used to describe RESTful APIs and produce documentation. 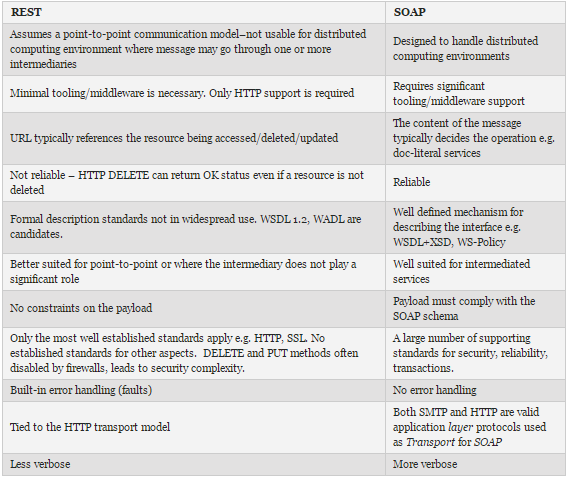 By contrast, SOAP is an XML-based protocol for making network API requests. Although it is most commonly used over HTTP, it aims to be independent from HTTP and avoids using most HTTP features. Instead, it comes with a sprawling and complex multitude of related standards (the web service framework, known as WS-*) that add various features. The API of a SOAP web service is described using an XML-based language called the Web Services Description Language, or WSDL. WSDL enables code generation so that a client can access a remote service using local classes and method calls (which are encoded to XML messages and decoded again by the framework). This is useful in statically typed programming languages, but less so in dynamically typed ones (static example- C, C++, Java, coding languages with a compiler; dynamic example- Ruby, Perl, Python, scripting languages with no compiler). As WSDL is not designed to be human-readable, and as SOAP messages are often too complex to construct manually, users of SOAP rely heavily on tool support, code generation, and IDEs. For users of programming languages that are not supported by SOAP vendors, integration with SOAP services is difficult. Web services are merely the latest incarnation of a long line of technologies for making API requests over a network, many of which received a lot of hype but have serious problems. Enterprise JavaBeans (EJB) and Java’s Remote Method Invocation (RMI) are limited to Java. The Distributed Component Object Model (DCOM) is limited to Microsoft platforms. The Common Object Request Broker Architecture (CORBA) is excessively complex and does not provide backward or forward compatibility.